al stewardship. It was grassed using varieties that require less water and less fertilizer. Zeon Zoysia, developed by Bladerunner Farms and grown in Brazil by Green Grass Brasil, creates a highly-playable, lush surface. In the fairway, the ball tends to sit up as if on a tee. All the while, Zeon Zoysia stands up to varying water quality, reduced amounts of fertilizer and water for irrigation, and tends to choke out weeds—a major factor considering herbicides cannot be used on this site. All weeds are pulled by hand. This PRESS ROOM offers you the resources you need to tell the story of the Olympic Golf Course, the significance of the project, how it was designed & built, how sustainability figured into the planning & construction of the course, and information about the people who made it happen. • Golf as an Olympic Sport, returns after 112 years. • Olympic Golf Course built to host the 2016 Rio Games. • Prior to his selection as the sod producer for the Olympic Golf Course, Marcelo Matte of Green Grass Brasil had less than one acre of Zeon Zoysia in country. His farm was 1,000 miles away in southern BraZil. 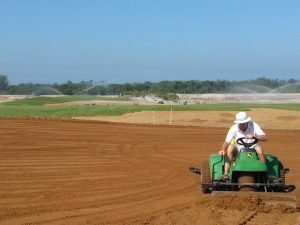 The story of how He expanded the grass material, trucked it 1,000 miles north and created a sod farm closer to Rio is one of overcoming obstacles and demonstrating sheer will to accomplish the job. Photos of construction of course, finished golf course, first golf shots hit on golf course, people who made it happen. CLICK HERE to access photos. Prior to the event: David Doguet of Bladerunner Farms, Marcelo Matte of Green Grass Brasil, and superintendent Neil Cleverly are available for phone interviews. Covering the Olympic Golf Course, Unplayable Lies refers to Zeon Zoysia this way: It’s the Frank Sinatra of turf grass…. If you can make it there…. Joking aside, it’s an interesting process and the turf’s ability to survive such harsh conditions is important in maintaining courses in a wide variety of locales. Sitting on the bank of a lake along the fifth fairway of the Olympic Golf Course on Monday afternoon was a capybara, oblivious to the orange lawnmowers rumbling past or golfers from Sweden or Indonesia or Paraguay hitting approach shots during practice rounds. It just sat there, happy as can be, not a concern in the world, like it owned the place. RIO DE JANEIRO – Walking from the driving range to the first tee Sunday morning at Olympic Golf Course, Rickie Fowler passed by Gil Hanse, the architect who had designed the course. Hanse greeted Fowler, a friend from previous meetings, and shook his hand. As we have arrived at week one of Olympic golf in Rio, a few final course and Games-related content pieces are worth a look. The work that went into preparing Rio’s competition facilities over recent months—and even years before Brazil’s Olympic bid—has been breathtaking. Below, take a look back at the dramatic evolution of six key Olympic sites, in stunning satellite view. The website of The International Golf Federation is a first-class source of information about Olympics Golf and if you prefer your media ‘social’ Twitter, Facebook and Instagram are all available. Also on stream is a Youtube channel which features dozens of short films about the players and the course. I’m sure that Jason Day, Dustin Johnson, Jordan Spieth and Rory McIlroy — the four top-ranked golfers in the world — have no idea what it took to get the Olympic Golf Course built. If they did, I’d like to think they wouldn’t have bailed on competing in the 2016 Summer Olympics this month in Rio de Janeiro. The 2016 Summer Olympics in Rio are in full swing. But for the golf industry, the real show begins Thursday with the first round of play in the men’s golf competition, the first time since 1904 that the game has been an official Olympic sport. We are pleased to announce that we’ve been able to secure the assistance of several individuals who will have a front-row seat to the proceedings as members of the crew tending to the golf course in Rio. They’ll be GCM’s eyes and ears on the ground in Rio, and one of those individuals who knows the course as well as any is David Doguet, the president of Bladerunner Farms, the world’s largest privately-owned zoysiagrass research facility. His company, based in Poteet, Texas, developed Zeon Zoysia, the turf planted on the fairways, tees and rough at the Olympic Golf Course. 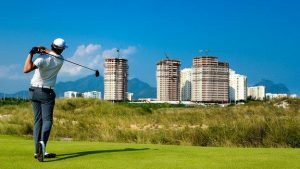 The newly-created Olympic Golf Course, Barra da Tijuca, in Rio de Janeiro, Brazil will host golf’s return to the Olympic Games, beginning August 11. Designing the course for the first Olympic golf competition was supposed to be the most difficult part, yet Long Island native Gil Hanse overcame climate logistics and political roadblocks to pull that off, by all accounts, flawlessly. What happened after that was a course that no one could have or would have charted. 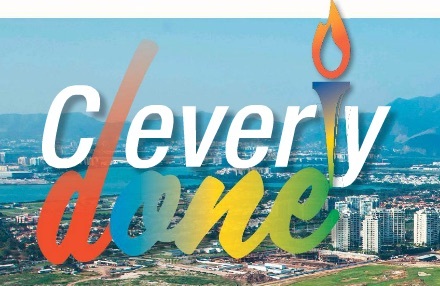 Superintendent Neil Cleverly seems to have been the right person at the right time to oversee the course that will host Olympic golf for the first time more then a century. When some of the world’s best golfers tee off next month in the 72-hole Olympic competition, they will be navigating fairways and greens imagined and designed by a pair of Cornellians. One of them, in fact, was mentored early in his career by yet another Cornellian, who himself was among the finalists for the Olympic contract. 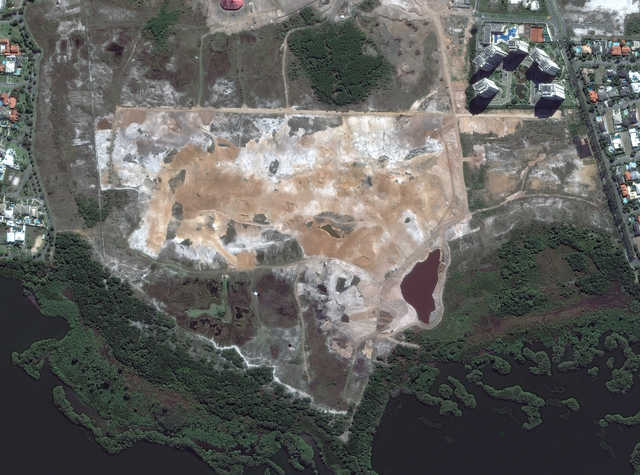 Gil Hanse, MLA ’89, bested a field of 29 of the world’s top golf architects four years ago and won the job of turning an abandoned sand mine in the Barra da Tijuca neighborhood of Rio de Janeiro into a golf course that could challenge the best players in the game, then be used as a municipal course for a city and nation just being introduced to the sport. 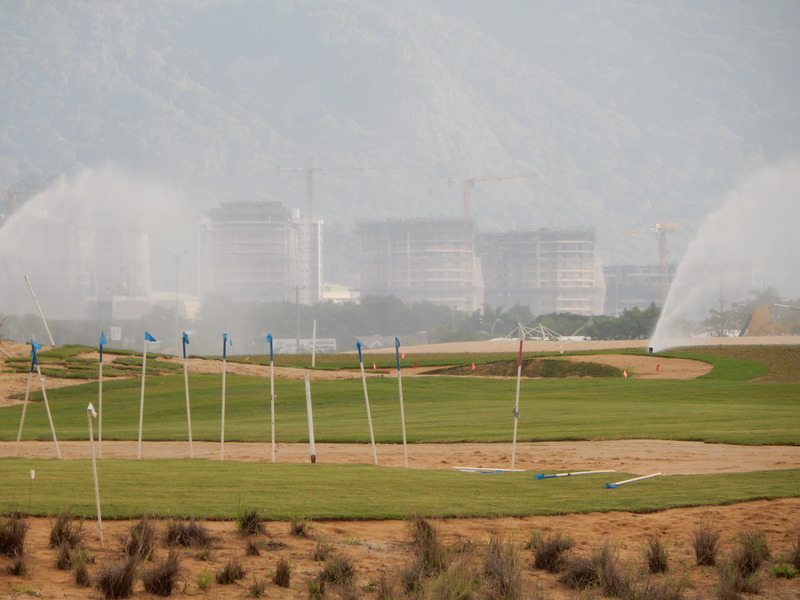 From just two handfuls of Zeon Zoysiagrass, the Olympic Golf Course in Rio was born! Read the story in the New York Times as the efforts of David Doguet at Bladerunner Farms, Marcelo Matte of Green Grass Brasil, and Olympic Golf Course Superintendent Neil Cleverly are celebrated. Learn how the golf course was grown, the low fertilizer and low input benefits of the grass, and why Zeon Zoysia was the best choice for the Olympics … and for golf courses around the world. What convinced us to honor the new Rio Olympic Golf Course with Golf Digest’s Green Star Award was a family of burrowing owls. These 10-inch long creatures carved out a home in, of all places, the face of a bunker left of the ninth green. It’s the perfect symbol of how golf can work in harmony with nature. 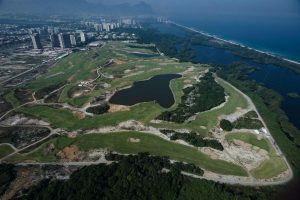 We were also swayed by the February 2016 report from Rio de Janeiro’s Department of Justice, which concluded the creation of the golf course has increased biodiversity in the area. Opponents were certain a swamp, known as Marapendi Lagoon, was being despoiled by the course, but the environmental-impact report established the opposite. Native vegetation has increased by 167 percent, and the number of animal species in the locale has more than doubled since June 2013. Rio’s Olympic course is the first international layout to receive our annual award for outstanding environmental practices, and the first Green Star recipient designed and built under rigid sustainability guidelines. Architect Gil Hanse was given an abandoned sand mine turned into an illegal dump. Restrictions were so harsh that he wasn’t allowed to spray chemicals to kill unwanted vegetation, so crews hand-pulled 80 acres of weeds. 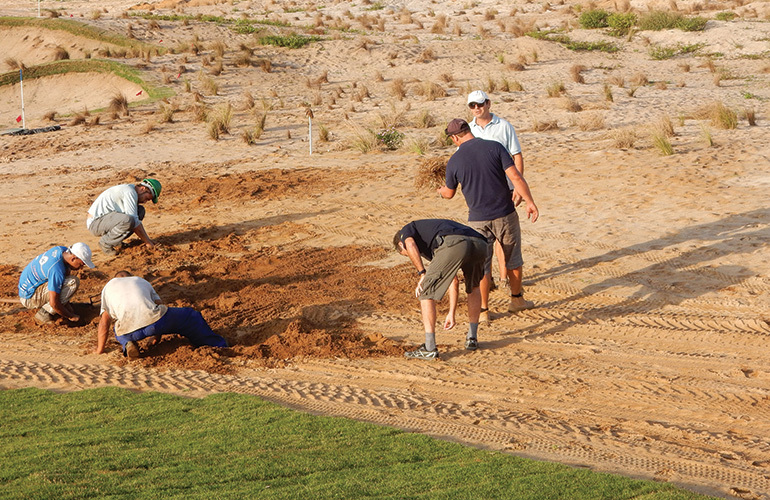 He could neither import nor remove any soil from the property, so workers dug down to find decent sand for tees, greens, fairway contours and framing dunes, expanding natural ponds in the process. Drought-tolerant Zeon zoysia grass was sprigged everywhere but on the greens, which are Seashore paspalum, a hedge against the possibility that pure groundwater might someday become brackish from the nearby Atlantic. Maintaining the turf is a major task for course superintendent Neil Cleverly, who has no access to slow-release fertilizers used on American courses, so he creates his nutrients and applies them with organic materials like liquid molasses to keep them from leaching through the sand too quickly. He’s prohibited from using herbicides and can use only agricultural fungicides and insecticides, which he applies sparingly. A once-dead parcel of land is now lively with all sorts of fauna. Monkeys live in the cashew trees behind the 12th green. Yacare caimans (cousins of the crocodile) have been seen in the ponds. Sandpipers run the fairways, and egrets soar overhead. The far roughs are home to capybaras, which look like large hedgehogs. 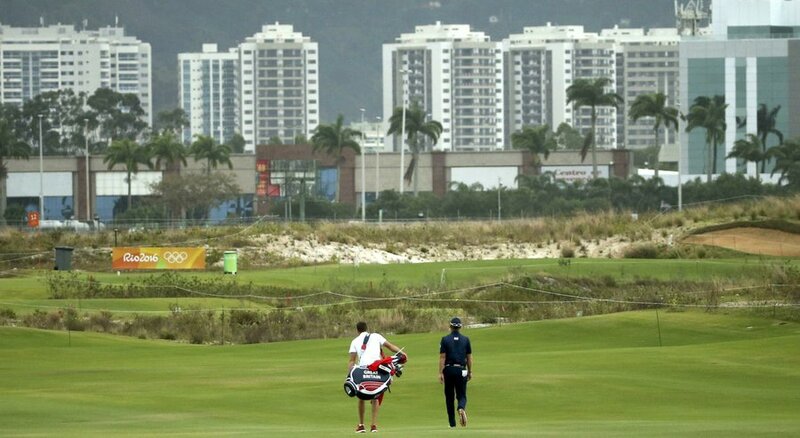 Rave reviews for Olympic Golf Course. Writer Bradely S. Klein says Architect Gil Hanse deserves a Gold Medal for course architecture. 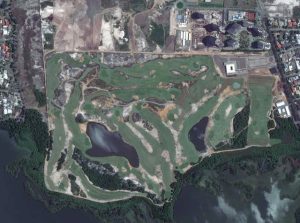 As golf returns to the Rio 2016 Olympic Games after 112 years, David Doguet of Bladerunner Farms tells the history of how Zeon Zoysia was grown in Brazil and selected for the playing surface of at the Olympic Golf Course. 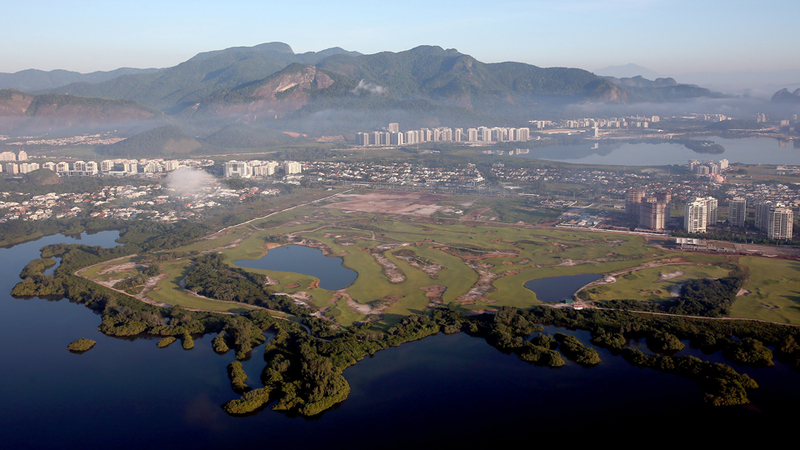 The Olympic Golf Course designed by Gil Hanse for the Rio Olympic Games is finally playable, and it looks great! Grassed on tees and fairways with Zeon Zoysia. 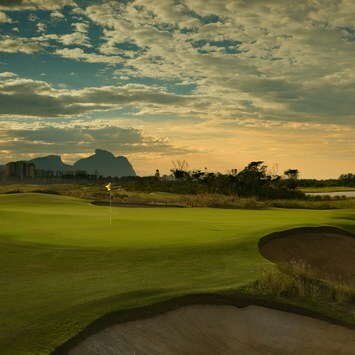 At the Olympic Golf Course test event held in March, Brazilian pro golfers rave over the quality and conditions go the course, calling it “incredible.” The course is grassed with Zeon Zoysia. The Rio 2016 course is in “surprisingly” good condition, says Brazilian golfer Miriam Nagl who took part in the first test event this week. 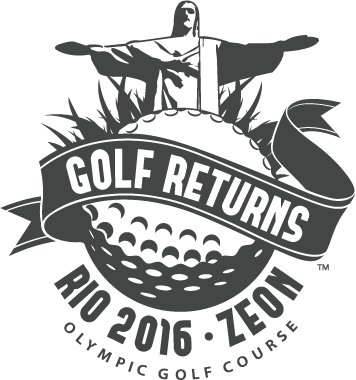 GOLF CHANNEL VIDEO: Rio hosts test event at Olympic golf course grassed with Zeon Zoysia. Players say it’s “perfect” and “amazing.” Architect Gil Hanse thrilled with the golf course. Ten months from now, Jordan Spieth, Rory McIlroy, Jason Day and the world’s best golfers could be battling on another links-style course. But this time Olympic medals will be up for grabs at a unique setting that is a compelling story in itself. As the world awaits the return of golf as an Olympic sport for the first time in more than a century, the folks behind the scenes work to plant Zeon Zoysia grass on the Olympic Golf Course. They must have the course ready by the time the Games open just two years from now in August 2016. Marcelo Matte, owner of Green Grass Brazil, grows the grass on his Brazilian sod farms for planting directly onto the Olympic Golf Course. 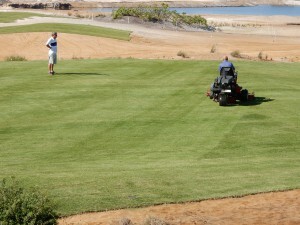 A licensed sod producer of both grass varieties used on the course—Zeon Zoysia on tees, fairways and roughs, and SeaDwarf Seashore Paspalum on the greens—Matte also spearheads the installation of the grass on every playing surface of the course designed by American Golf Course Architect Gil Hanse. Matte said he began growing the grass in January 2013 in order to have enough grass inventory available to quickly plant the golf course when construction progress allowed. In all, Green Grass Brazil will produce between 35 to 40 hectares (85 to 100 acres) of grass in order to plant it onto the 18-hole golf course. Matte employs 20 staffers to install the grass on the golf course, along with expert help from David Doguet, the American turfgrass breeder from Bladerunner Farms in Poteet, Texas, who developed Zeon Zoysia for use on golf courses. Planting of the grass from the sod farm onto the actual golf course playing surface began in May 2014. Matte said he is using several different planting methods at the golf course. Most of the Zeon Zoysiagrass surfaces are being planted using Big Roll sod, large spools of sod in one continuous piece that unfurl over a long surface. Some of grass is installed as sod slabs that fit together like puzzle pieces. 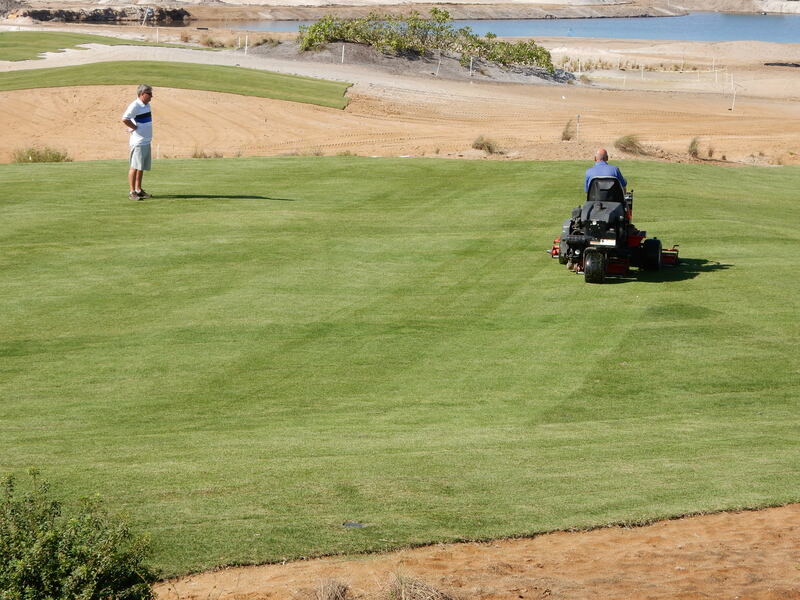 On the greens, the SeaDwarf Seashore Paspalum is being planted as sprigs, basically broken up pieces of sod that are deposited as live grass material and sliced into the soil of the greens surface. No seeds are being used at the golf course. All of the grass is planted as live material. A litany of heavy equipment is used to plant the golf course such as sprig harvesters, sprig planters, fork lifts, rollers, tractors, and trucks. Both the Zeon Zoysia and the SeaDwarf Seashore Paspalum are considered drought tolerant grass varieties. Zeon Zoysia, which has low fertilizer requirements, grows a dense, extremely high-quality playing surface that tends to choke out weeds. This feature of Zeon Zoysia is critical, Matte said, because “we do not have permission to use herbicides yet.” SeaDwarf Seashore Paspalum stands up to the salty water conditions that will be used to irrigate the greens at the site. Planting of the grass at the golf course should continue through December, depending on the pace of construction of the facility. Matte said it will take a full growing season, November through May, for the grass to completely grow in. Though Matte has grassed many golf courses in his career, “this one carries an enormous responsibility. It is a very important project for everyone involved. It is a once in your life opportunity to be a part of the first golf course made for the Olympic Games. When it comes, I hope everyone in Brazil will be proud of the course. Also the world will watch golf on TV for the first time in the Olympics. I think it will be the largest amount of people watching golf ever,” Matte said. 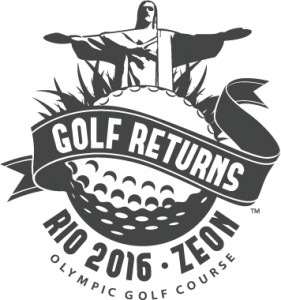 After more than a century’s absence, when golf returns as an Olympic sport at the 2016 Games in Rio, the grass in the fairways, roughs and tees of the new golf course built especially for the Games will be Zeon Zoysia. The selection of Zeon was confirmed in February at the Golf Industry Show in San Diego by Dr. Frank Rossi, associate professor in the Department of Horticulture at Cornell University who is a consulting agronomist on the project. The greens grass selection has been delayed, Rossi says, because the salinity and quality of the water to be used for irrigation is still unknown. Golf has not been a sport at the Olympics since 1904. 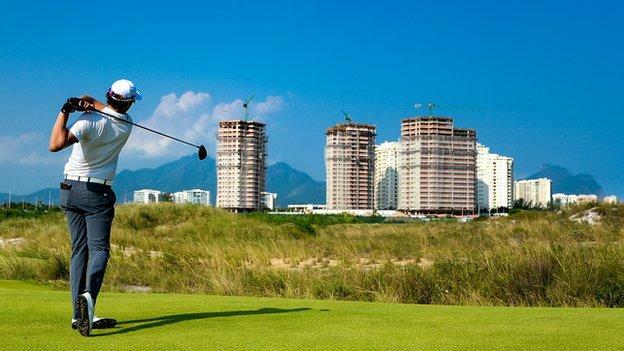 To accommodate the Olympic-sized galleries and international attention sure to follow the event, a new golf course is being built just five kilometers from the Olympic Athletes Village. The Rio 2016 Organizing Committee announced last year the selection of Hanse Golf Course Design, based in Malvern, PA, as the golf course architect.